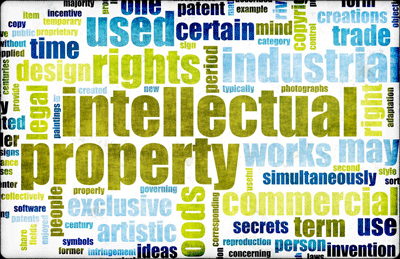 So, what exactly is intellectual property? No, it isn't a fancy phrase created by lawyers just to confuse. Really. I promise. Being a reformed lawyer myself (I got better) I can say that with some authority. Some criticize using intellectual property as a defining term unto itself because it aggregates together various rights which spawned from divergent backgrounds, protecting different things, and with distinct policy implications. There is also certainly some debate that the phrase itself was intended to, and does in fact, confuse issues - so that it is easier to apply different rules to physical objects versus intangible rights. There is further criticism that the scope of intellectual property protection (of all types) has continued to expand over time - well beyond what was originally intended --- e.g. 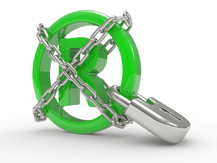 copyright protection of ever increasing duration and patents of dubious validity. I do not necessarily intend to cover the various policy debates surrounding the generic term of intellectual property beyond acknowledging that they in fact exist. Your mileage will vary across countries (each treating areas slightly differently) as to the specific scope of rights and corresponding protection offered to intellectual property rights holders. Laws (both statutory and those created by judges - so called"common law") attempt to balance intellectual property protection (facilitating research, etc.) versus killing innovation. A great summary on the definition and historical use of intellectual property can be found at Wikipedia: http://en.wikipedia.org/wiki/Intellectual_property. Fundamental shifts in technology and in the economic landscape are rapidly making the current system of intellectual property rights unworkable and ineffective. Designed more than 100 years ago to meet the simpler needs of an industrial era, it is an undifferentiated, one-size-fits-all system. Although treating all advances in knowledge in the same way may have worked when most patents were granted for new mechanical devices, today's brainpower industries pose challenges that are far more complex. New technologies make enforcement of property rights much tougher. People can use high-quality scanning technologies with optical character recognition to build electronic libraries quickly and easily. Electronic publishers can in turn just as quickly and easily convert that material back into printed form. When anything can be rapidly, cheaply and privately replicated in low volumes at high levels of quality and then distributed in whatever form the user wants, the choke points available to prevent reproduction of what used to be printed materials have essentially evaporated. The legal system may be able to stop factories from copying and selling CDs or books in volume, but it cannot stop individuals from replicating the materials for themselves or selling small numbers to their friends. The parallels to where we are today are very clear. There is little doubt in my mind that our current system of intellectual property protection has been stretched well beyond the breaking point, and the changes in the Capture/Modify/Make ecosystem discussed in my earlier post (technology democratization on the input and output sides) will only accelerate and highlight intellectual property issues. In my next entries I will cover the current scope of copyright protection and how it generally applies in the Capture/Modify/Make ecosystem.